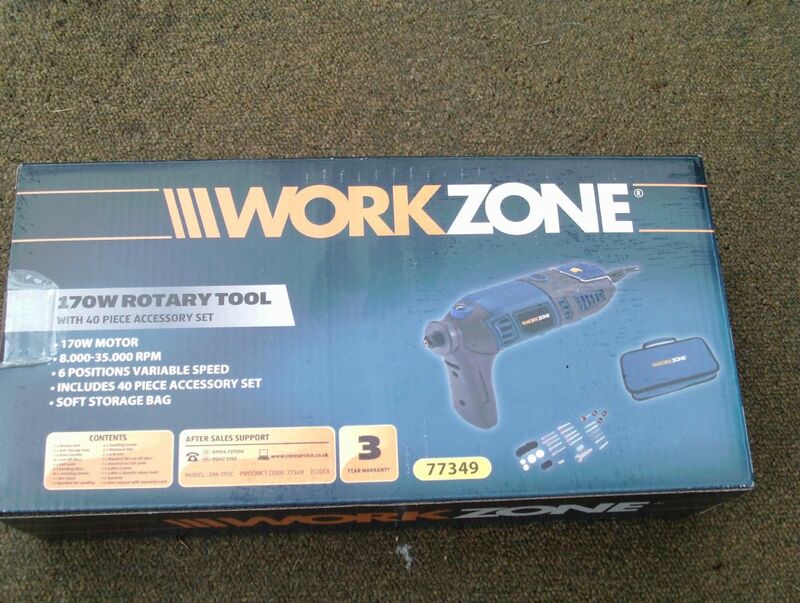 Aldi Rotary Tool and 40 peice set. Saw this good value. was £14.99 which is still very cheap, but at the moment £10. So I bought 2! Already have 2 mains ones, one in each work shop, so have a 2nd one for each!. Paul, are they fitted with collets or chucks? Looks like collets to me. 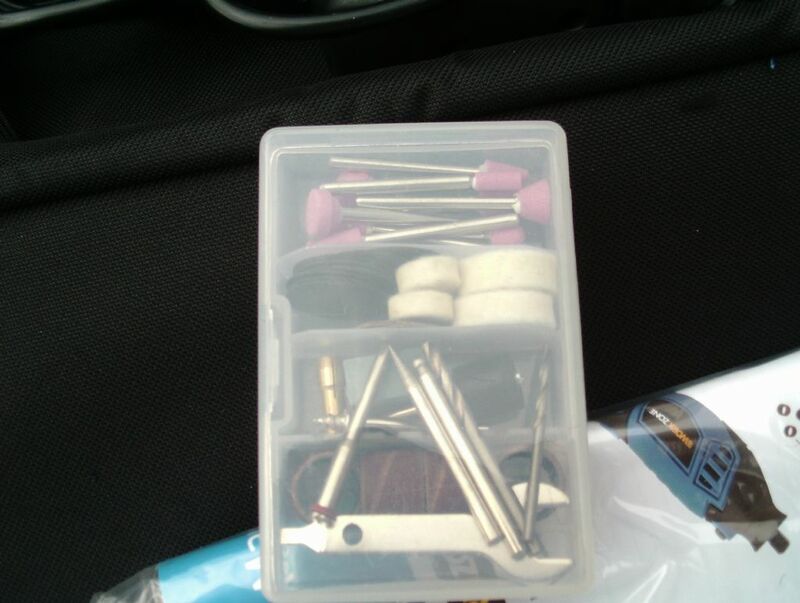 I've found that these things have the same nose threads as Dremel, so chucks are interchangeable. I went into Congleton Aldi, and it was £12.99 ! Why was Leek £3 cheaper? Cos yer posh in congleton. I went out and got one at £12.99 but a word of warning. 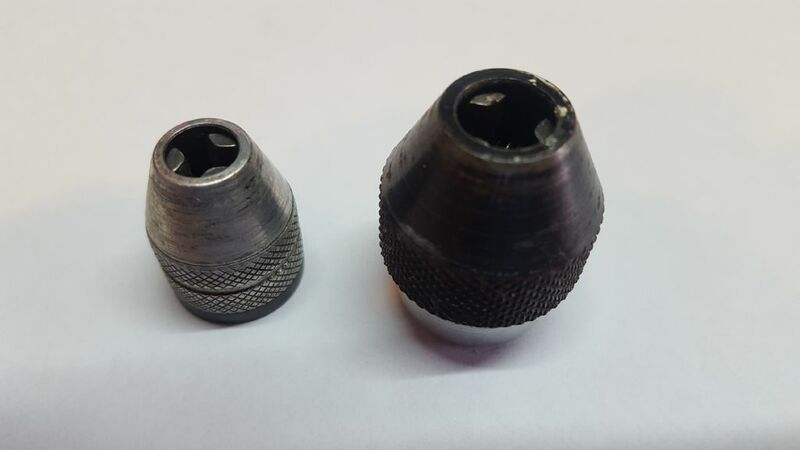 The nose thread is indeed the same as Dremel but the thread is not long enough to operate the chuck jaws before bottoming on the tool itself.I have two Dremel chucks of different sizes and they both lock up just the same. On a earlier Aldi "Ferm" rotary tool, which I've still got, there were a smaller chuck included in the accessory bag. The main two bits i use most are the rotary cutting disc and the two sizes of the cylinder sanding tool, and never needed to change it to the smaller one. Update: Just checked and there is a smaller chuck in the accessory bag..
What you have found is another size of collet. The Dremel chucks look like a smaller version of the ones found on full size power drills...i.e. 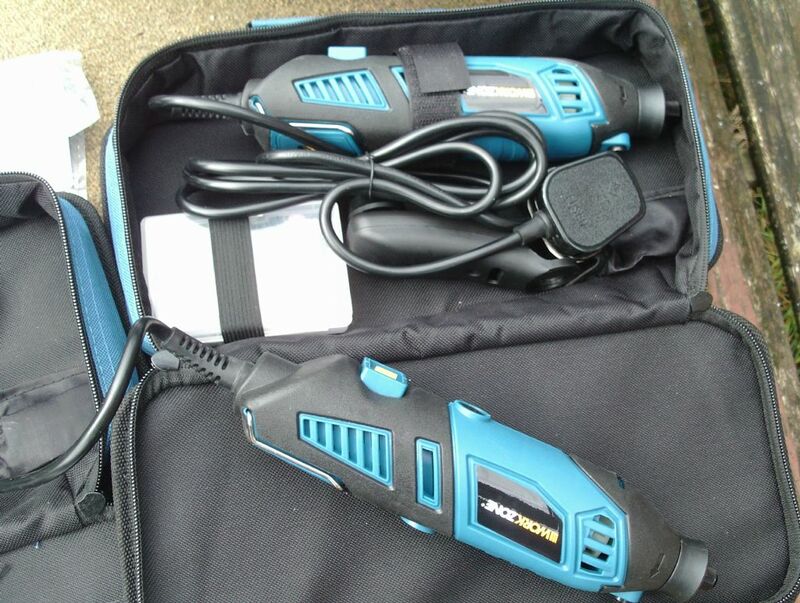 All Forum Topics > Gadgets and Electronics > Aldi Rotary Tool and 40 peice set.